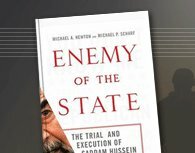 Below is a collection of useful links to help you find out more about the book, Enemy of the State and the trial and execution of Saddam Hussein. Mayada Al Askari (Staff Writer), “Book Review: In Camera Revelations: Going Behind the scenes into Saddam Hussein’s Trial,” Gulf News, Friday, October 24, 2008, at page 24. Op/Eds - Articles written by the authors regarding the trial and execution of Saddam Hussein. 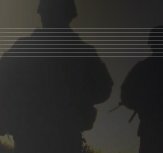 On Line Chats - Transcripts of the authors discussing the trial and execution of Saddam Hussein. Vanderbilt has a campus broadcast facility with a dedicated fiber optic line for live or taped TV interviews and a radio ISDN line. Contact Emily Pearce or Amy Wolf at (615) 322-NEWS for more information.